The following is a guest post by Chris Scott. Chris has written for us before - always on the cutting edge of things. This time Chris shows us something new in the form of a new charting technique his company offers. But it's based on something old: the fundamentals of the web itself. This month my company, Factmint, released its suite of Charts. They're really cool for a number of reasons (not least their design) but one is of particular interest to web developers: they all transform simple HTML tables into complex, interactive data visualizations. This approach is a perfect example of Progressive Enhancement - for browser compatibility, accessibility and SEO you have a simple table, for modern browsers a beautiful graphic. This article is going to look at using these concepts to produce data visualizations. It's painfully obvious but worth stating: data visualizations are based upon some underlying data. That data doesn't need to be lost when building a graphic (as it would be in a raster image, for example). Neither does the data format have to be JSON, as most charting libraries use. Going back to the first three of the "core concepts" of PE, the basic functionality should be some kind of markup encoding that data. An HTML table or list, for example. Okay, so it's not pretty, but it will be clear and accessible on all browsers and it should be helpful for search engines, too. That definitely looks more like a timeline but there are some clear problems with it. 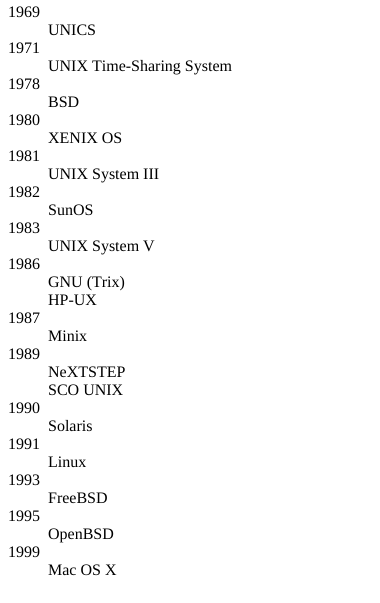 Most importantly, the timeline points should be distributed based upon their relative date (so 1983 and 1986 aren't next to each other). Also, I’d like the timeline to run horizontally to avoid the need for scrolling (in a production case I'd check for the best orientation). That should give pretty accurate feature detection. Alternatively you could go for Modernizr. Now, we will check for SVG support before we do anything: if the browser supports SVG we'll draw a pretty visualization and hide the definition list, otherwise we will leave the list in place. There's quite a lot going on there but the essence is simple: iterate over the children, use the DTs as the year and the DDs as the releases. The fact that definition lists allow more than one DD for each DT makes it slightly more complex, hence the lookup to add additional releases from the same year to the same entry in the data array. It's really useful to have an array, like this, as opposed to an object map. It will be much easier to iterate over the entries later. Cool: now our dots are distributed and there's a line underneath them. No information yet, though, so let's add some labels. Dealing with years that have more than one entry has a little more complexity, but nothing we can't handle: the datum.values.forEach loop was used to spread duplicates out horizontally, centered around the dot. A rotation has also been applied to stop the labels from overlapping (even though that may be considered bad practice as it adds Cognitive Load - a better solution would be to show key releases always and others on hover but that's not the point of the article). See the Pen gbYqRW by chrismichaelscott (@chrismichaelscott) on CodePen. There are lots of benefits with this approach to data visualizations; the markup is semantic, it's SEO friendly, it's accessible to screen-readers and it is progressively enhanced from a simple element supported on most browsers. There are some things to consider though. If you only have one set of static data, it's probably not worth the effort - just build an SVG by hand. If you have loads and loads of data this might not be the right approach either, as traversing the DOM tree may not be efficient enough. If you are trying to do standard charts, like pies, doughnuts, bubble, lines, etc, it's definitely worth checking out Factmint Charts. They are really beautiful and we've put a lot of thought into their design. Hey there, the CodePen isn´t working! Replace .innerText (supported in Webkit/Blink only) with .textContent (standard DOM). Explicitly set the SVG to display mode block or inline-block to avoid errors with getComputedStyle on some versions of Firefox. Not 100% accurate just yet, but it can get there. I really like that, thanks for sharing! Great and informative like always. However, the CodePen isn’t showing the required result. That’s pretty awesome, thanks for sharing! Great example. Progressive enhancement and other best practices are often overlooked in the data visualization examples and tutorials. 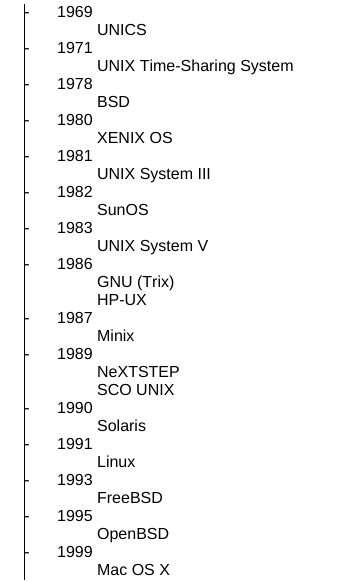 Give the SVG an aria-label attribute with a short name, like “Timeline of Unix releases” (you should also be able to use the SVG title element for the same purpose, but I suspect aria-label would have better support currently). Yes, I was pretty sure that the browser incompatibilities were likely restricted to the demo quickly whipped up for a blog, and that the production-ready code would be well tested! The charting library as a whole looks great — and I see it already uses aria-describedby! I’m glad I read the comments before making the same critic but I’d suggest to go a simpler route. I see ARIA more like a “retro-fitting” tool; in other words, why not taking advantage of the fact that this solution relies on proper/semantic markup to begin with? So rather than implementing ARIA roles or else I’d suggest to offer a button (visually hidden may be) that would let users to unstyle the DL – to reveal it to keyboard users. Note that I’m not sure Definition Lists are very well supported across screen-readers, but that’s another story. That’s a good point. Even fully-sighted, mouse-using readers sometimes want to see the source data table (or data list). Since it’s already in the markup, it doesn’t take much to reveal it on a button click. If you choose to use a solo feature detect.. You should definitely always pull from what Modernizr uses. Just grab that code and make it standalone. Piece of cake. In this case, the detect was written by an SVG spec editor and has the benefit of being battle tested for years across all browsers. Many alternative SVG detects have falls positives. Search in the Github issues for Modernizr to see all the trials and tribulations. The images alone make for a great comparison to show clients an example of progressive enhancement, this is awesome, the post as a whole is perfect to send my colleagues, thanks. I love this approach for data visualization. I built this entire map powered by the HTML data table at the bottom. Permalinks work too so you can link someone to a specific map after changing an option in the select menu.